Alzheimer’s Disease is the most common manifestation of elderly dementia. 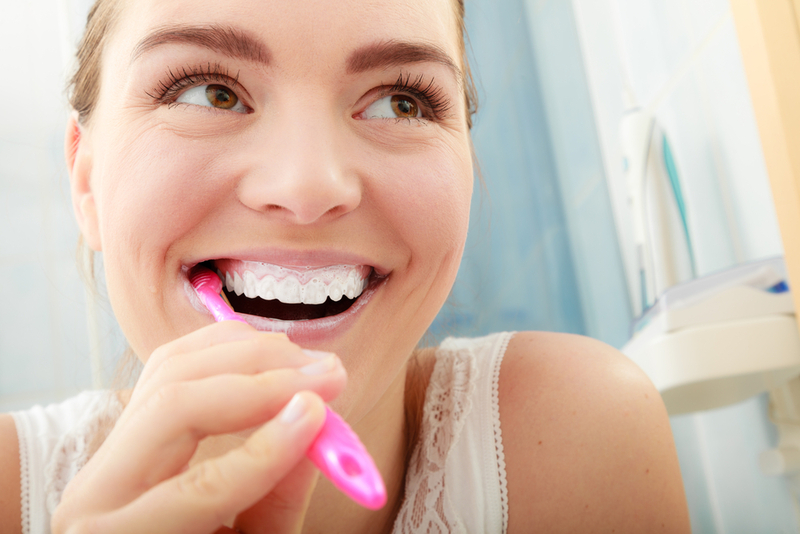 People with poor oral hygiene or gum disease may be at greater risk if developing Alzheimer’s. Studies indicate that people with periodontal disease have an increased prevalence of rheumatoid arthritis. RA is an autoimmune disorder that typically affects the small joints. Periodontal disease has been associated with an increase in overall cancer risk. Researchers consider infections such as periodontitis, and the body’s inflammatory response as potential cancer triggers. Researchers have found that gum disease is directly linked with other health problems. The mouth can offer clues about overall oral health, and problems in your mouth can affect the rest of your body. These range anywhere from bad breath to heart disease. Even though most of us brush our teeth daily, half of American adults have gum disease, which is a root cause of bad breath and tooth loss. To help prevent gum disease, dental professionals tell us to floss daily. But many of us don’t because string floss is difficult and time consuming to use, especially during orthodontic treatment. Many people eliminate flossing because it is difficult to floss around the braces and wires. Dental braces can create oral health problems such as gingivitis and decalcification (white marks) which lead to more serious issues. *Gingivitis is the earliest sign of gum disease. It appears as red, swollen, and shiny gums that bleed easily. It is caused by plaque that irritates the gum tissue and causes an infection. *Decalcification affects your tooth enamel, causing white spots or lesions on your teeth. It is caused by a combination of plaque and acid production after you eat and drink. Decalcification is impossible to correct, so prevention is critical. A manual toothbrush works well if you use it correctly. But when you have brackets, wires and other hardware in your mouth, you may find it easier to use an electronic toothbrush. Watch your toothbrush head for wear. Due to the brackets and other hardware, you will need to replace the brush head more often. Even an electronic toothbrush can’t remove all the plaque. You also need to floss to remove plaque that your toothbrush cannot reach. A floss threader is one method for flossing with braces, but it can be difficult and time consuming. An easy and effective way to remove plaque around dental braces and improve gum health is to use a Waterpik Water Flosser with the Orthodontic Tip. It is clinically proven more effective than dental floss for people with braces. The Orthodontic Tip is designed with a tapered brush on the end to help remove plaque that sticks to the brackets and between your teeth. It also helps flush out bacteria and food debris from around the teeth and under the gums. Using fluoridated toothpaste in your routine can help prevent white spots (decalcification) and decay. Its also important to continue your regular dental check-ups during orthodontic treatment. Cleanings are typically every 6 months but sometimes, every 3-4 is extremely helpful.